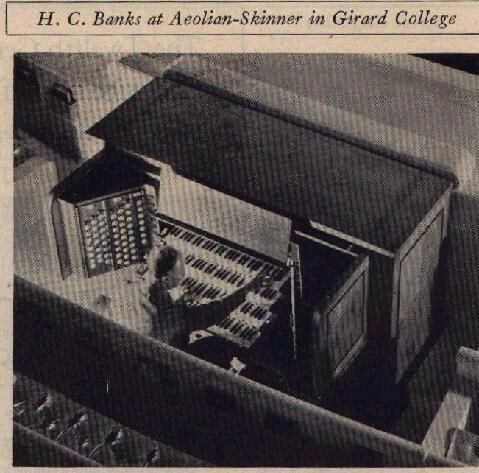 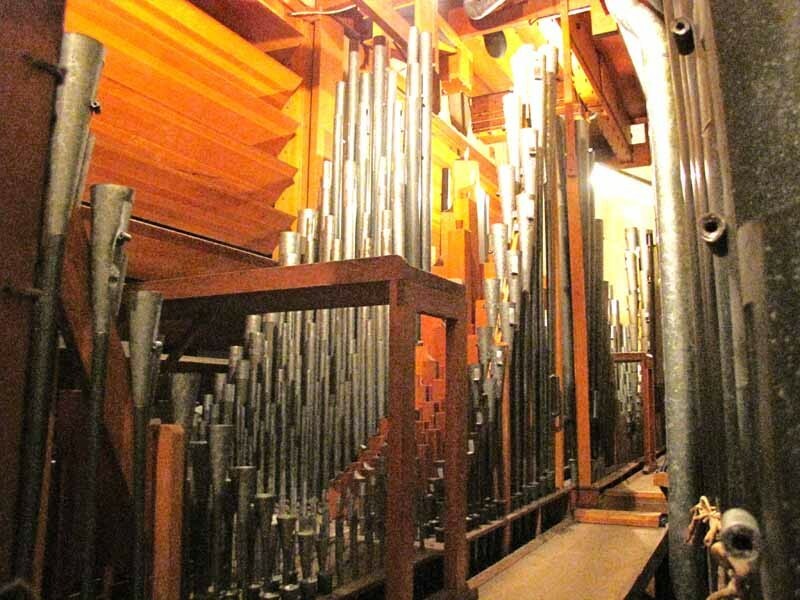 Notes: The organ chamber in the Girard College Chapel is certainly unique. 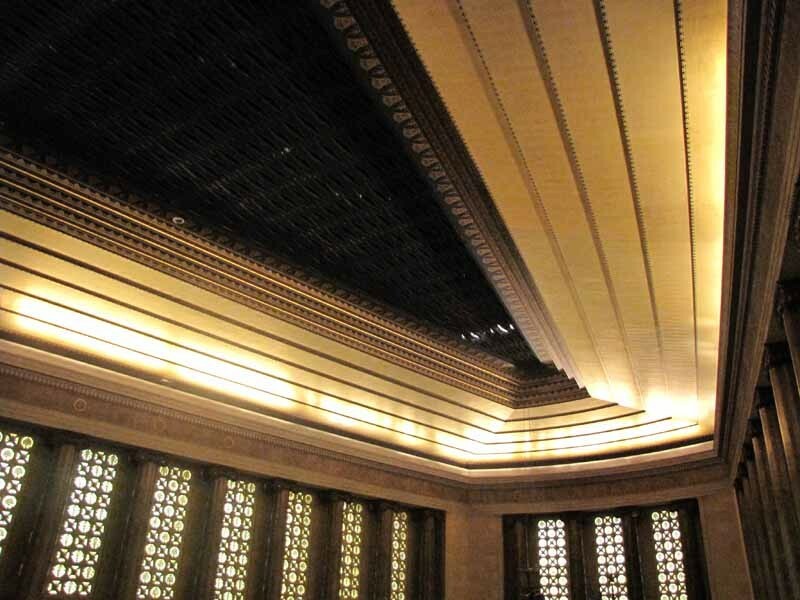 Located in the ceiling at a height of 100' above the floor, the chamber is 60' feet long, 40' feet wide at one end and 22' at the other end, with a height inside the chamber of 40'. 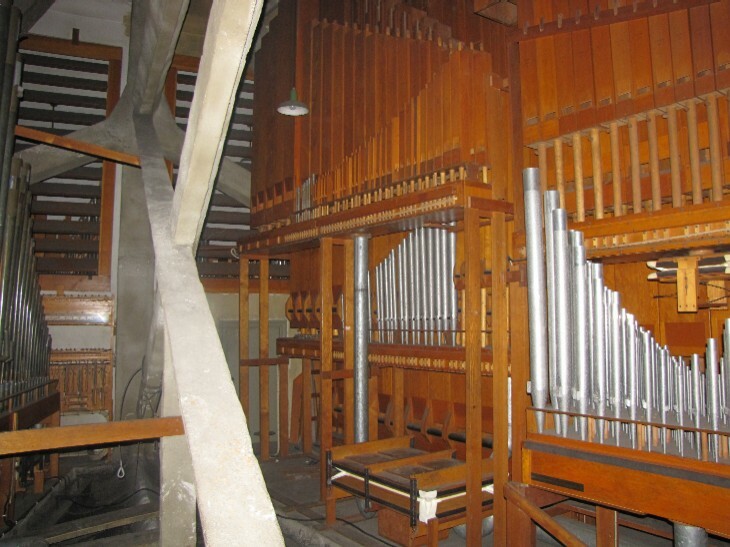 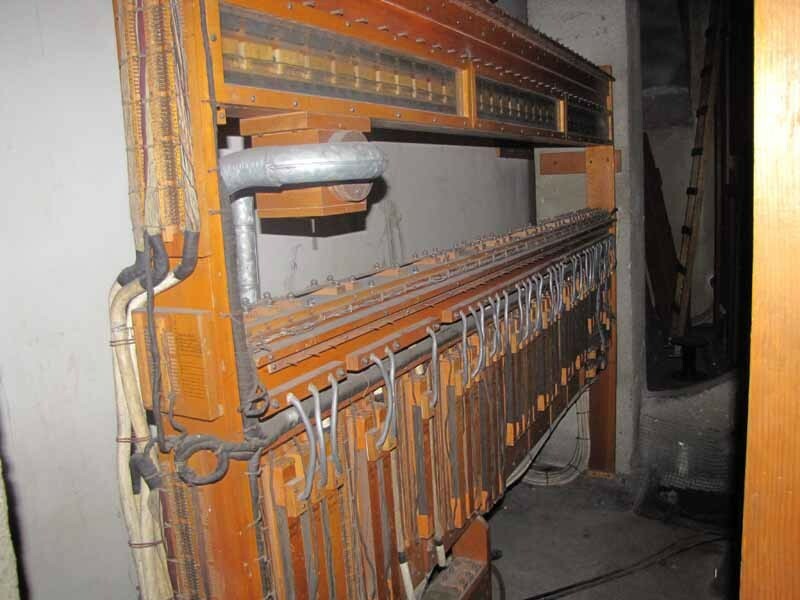 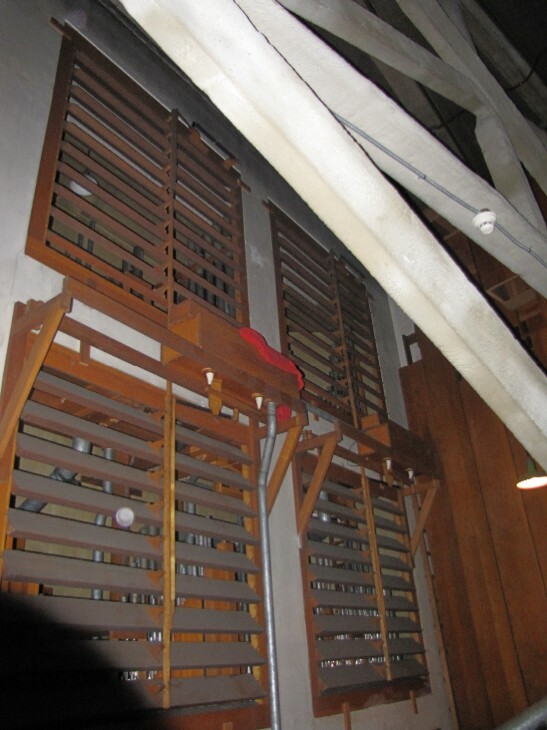 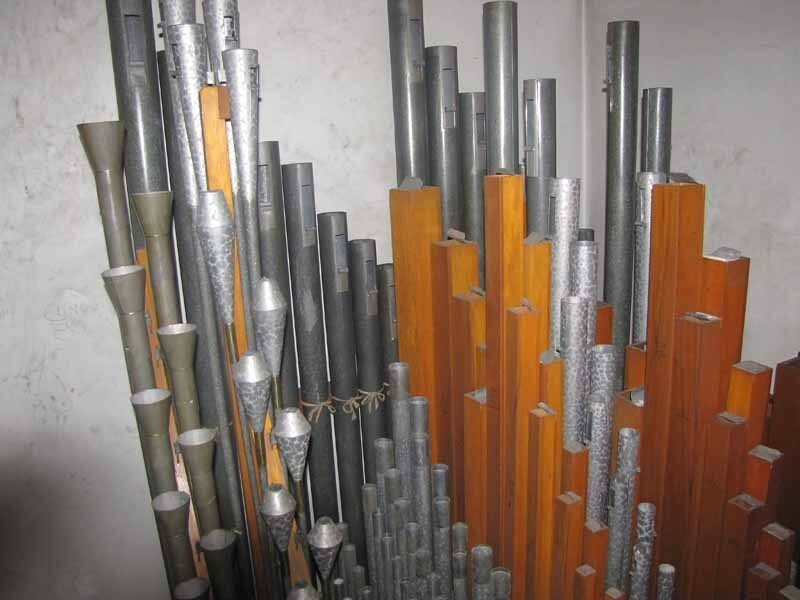 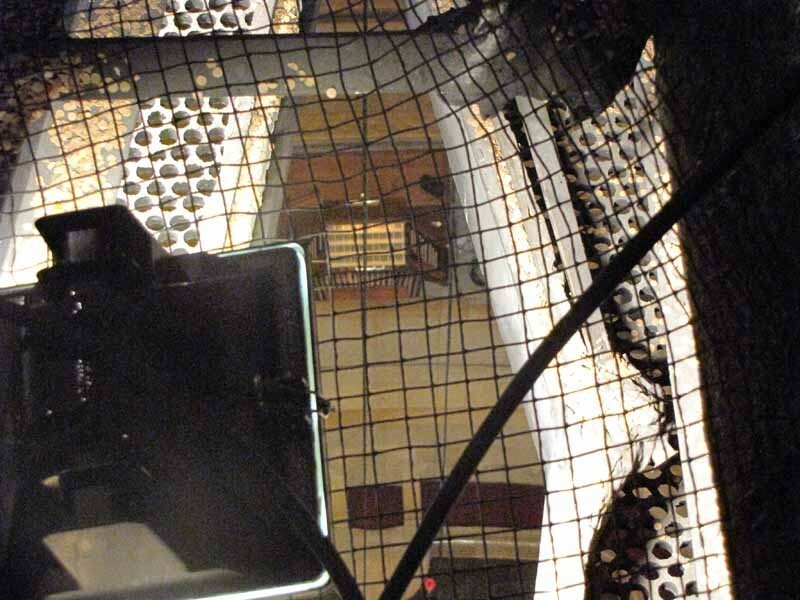 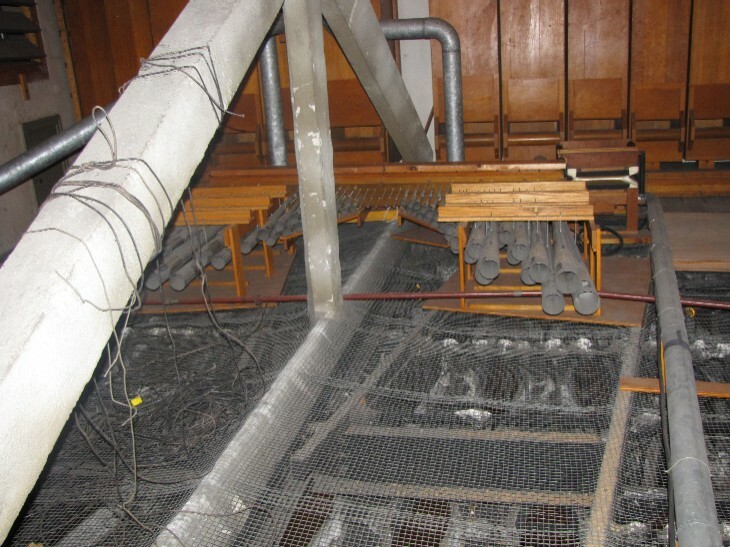 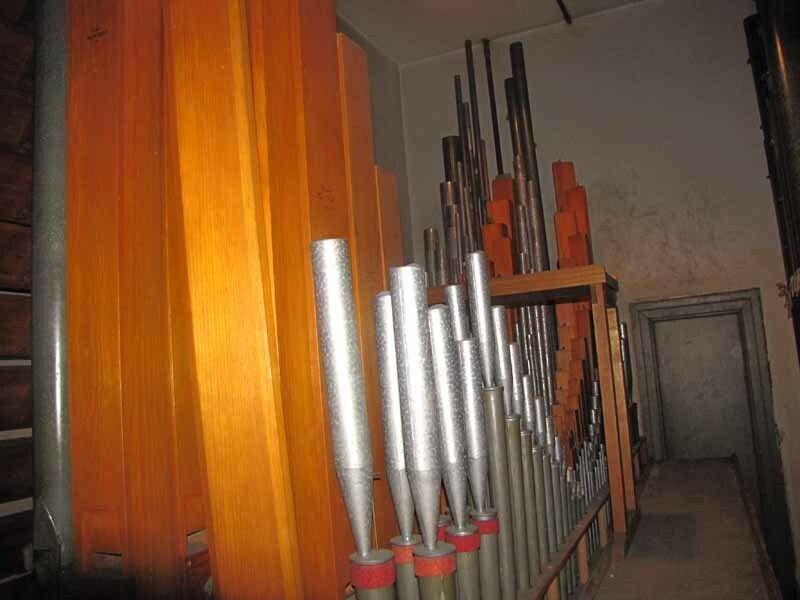 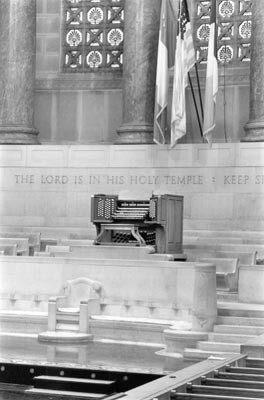 Because of the hard surfaces of the chamber and the room below, as well as the open grill permitting the sound to travel unhindered to the 2500-seat room below, the sound of the organ is tremendous. 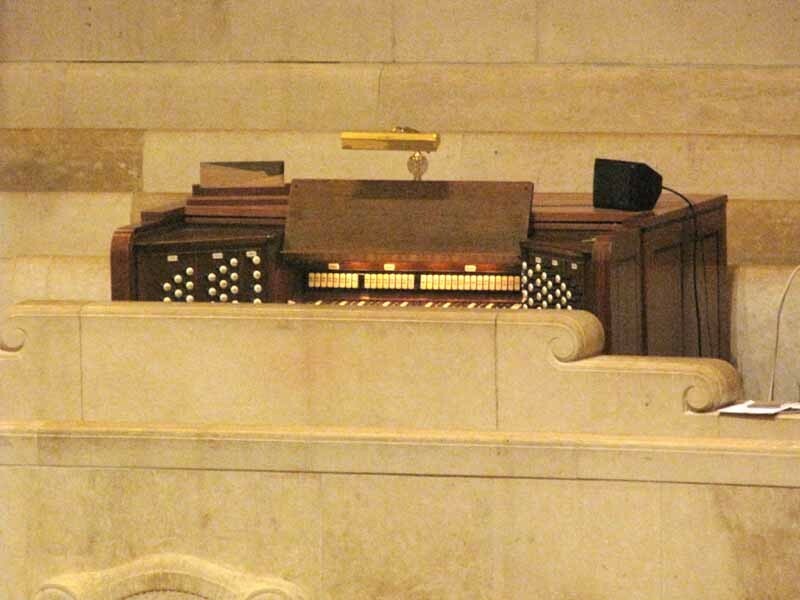 It is one of the most exciting organs in the country. 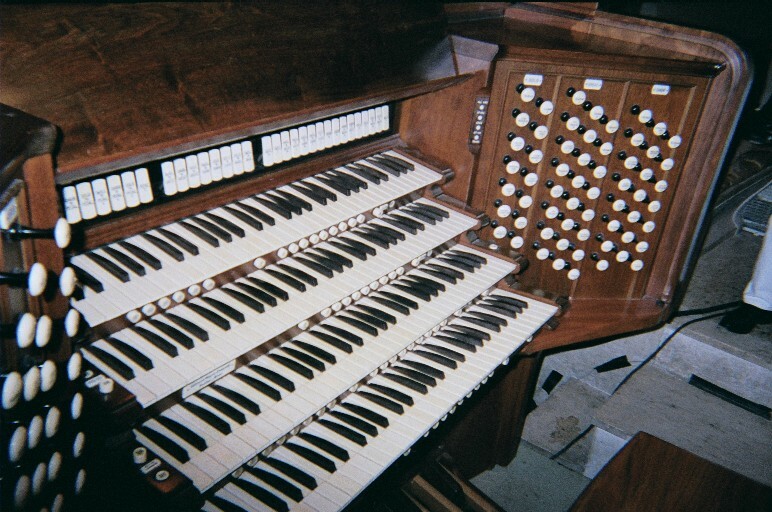 Austin built a new console in 1986. 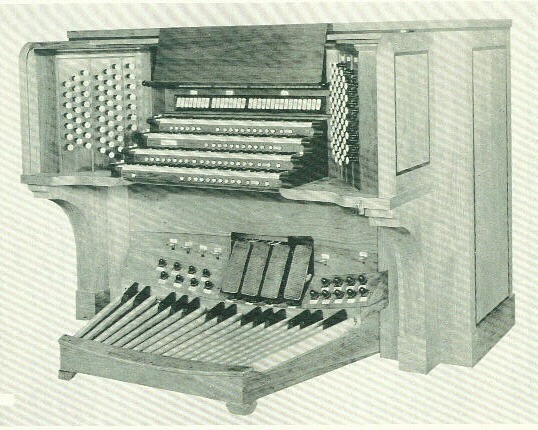 There have been a number of tonal changes in the last few decades.